This homemade whole wheat pita bread is super easy to make, soft, chewy and the flavor is just so good! The dough is made with basic ingredients (flour, water, salt, oil, honey and yeast) then rolled thin and baked at a high temperature. As it bakes, it will puff up and create a pocket perfect for filling. 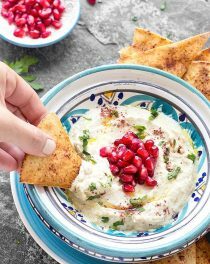 Serve it with hummus, fill it up with whatever you prefer or toast it and top your fattoush salad. – The dough is soft, smooth but hold its shape. Add more flour only if the dough is too sticky. 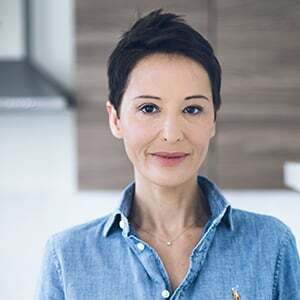 – You don’t open the oven for the first 4 minutes. 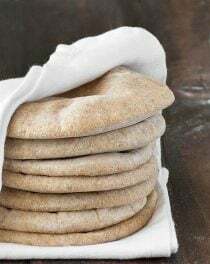 Pita bread is best consumed fresh out-of-the-oven but you can also keep in an airtight bag at room temperature for a couple of days or freeze it and pull it out for quick meals! Another option is to keep the dough in the fridge for up to 1 week and bake as needed. 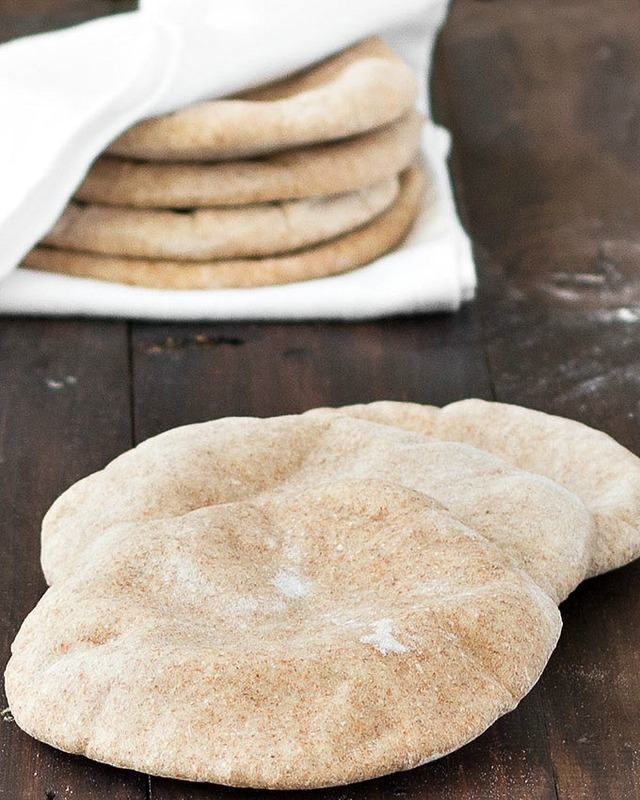 If you’ve never tried making your own pita bread at home, give it a try. You’ll never be able to go back to store bought pitas again! Enjoy! 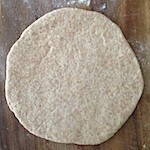 Homemade whole wheat pita bread: serve it with hummus or fill it up with whatever you prefer. Super easy to make, soft, chewy and so good! 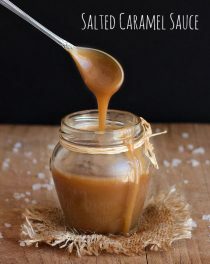 In the bowl of your stand mixer, mix the water, honey and yeast together and let it sit for about five minutes. Add the flours, salt, olive oil and mix for a couple of minutes, until it comes together. Sprinkle a little bit of flour onto your clean work surface and turn out the dough. Knead the dough for about 5 minutes, until it's smooth and elastic. adding more flour only if necessary. and place it into an oiled bowl, cover it, and allow to rest until doubled, about an hour. Gently deflate the dough and turn it out onto a lightly floured work surface. Divide it into 9 equal pieces and shape each piece into a ball. 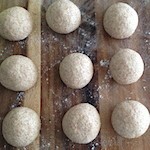 Using a rolling pin, roll each ball into a circle about 1/2 cm (1/4 inch) thick. 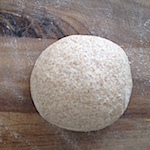 Lift and turn the dough frequently as you roll to make sure it isn't sticking to your counter. Sprinkle with a little extra flour if it starts to stick. Cover the circles with plastic wrap or a clean damp cloth. Preheat the oven to 230 degrees C (450 degrees F) and place a baking stone or a baking sheet on the middle rack. When the oven is ready, transfer 3 pitas at a time ( or more if your oven is big) onto the baking surface and bake for 4 to 5 minutes, or until the pitas balloon fully. Remove the bread from the oven and repeat with the remaining pieces of dough. Allow the homemade whole wheat pita bread to cool and serve as desired. Thank you so much for this recipe! I made them yesterday, and they turned out perfectly for the Mediterranean style dinner. Will make again 100%. This recipe came together much more quickly than others I had viewed. Had I known it was this easy to make, I would have included it as a household staple long ago. It packs easily for snacking, and tastes great with jam as a quick bite. 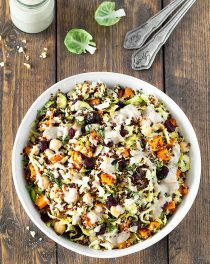 This is the only recipe I’ve tried and it’s so good I don’t have to try any other recipes ! I’ve been baking this pita bread every 3-4 days since I started 2 weeks ago so that we have a constant supply at home. Every bread buffs up very nicely and full usuall by the 3min, if not definitely by the 4th minute. Usually I store it in the fridge by 2nd and just pop it in the microwave for 30seconds for it to puff up again – and it’s warm and fresh! I am so glad to hear that, Veronica! 🙂 Thank you for the feedback! I tried this recipe today for the first time because I love wholemeal pita bread but I can’t get them where I live. I ran out of wholemeal flour but substituted plain flour (combined weight of 340g) and they turned out perfectly. I use a fan assisted oven and reduced the temperature to 220C and they puffed up really nicely by 3min. I flipped them over at 4min so they browned a little on both sides. This is the only pita bread recipe I’ve tried and now I have no need to look elsewhere. 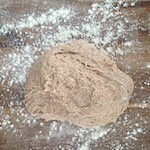 Can’t wait to try again with the right ratio of wholemeal flour and plain. Thank you so much for this recipe. I made these and they were wonderful! Most of them puffed up nicely and only a couple were duds but they were still delicious! Thank you for the recipe! I need to make a lot of these for a party, is there any way to make them ahead of time (I would need to make them 2days in advance) and still have them maintain that soft, fresh texture and taste? You can freeze them. Wrap each pita tightly with plastic wrap, then put them into a large zip-lock bag and freeze. When you need them, reheat the pitas in a warm oven. This recipe turned out so well. I surprised myself. I had tried other pitta bread recipes but the taste and texture wasnt quite right. Now all i need to do is make sure each pitta bread is round when rolled out. I had some cloud shaped ones! Regardless, its a staple food in my household now. God bless you for sharing this recipe. I am so glad this recipe turned out well for you, Jashendeep! 🙂 Thank you for the feedback! One question – you mention that the dough can be made in advance and then chilled in the fridge before baking. At what stage would it be best to chill the dough if I were to go this route? After deflating and portioning out into individual pitas, but before rolling? Hi Elisha! I would freeze it after step 9 (after you divide the dough into 9 equal pieces and shape each piece into a ball). To bake, allow the dough to thaw overnight in the refrigerator, or for 2-3 hours at room temperature, then roll out into circles and bake. I have tried other pita recipes (using white flour) and, while they were good, they were much more difficult than this one. I wanted to make a whole wheat version because I like the taste of whole wheat better, but to be honest, I didn’t have high expectations because I know that whole wheat can be difficult to work with. What a surprise this recipe was! I was amazed by the ease of this recipe and how delicious the finished product was. I let my bread machine do all the work for me (using the dough setting) which made this a breeze. In addition to standard pitas, I also used the dough to make fatayer with zaatar and kishk and they were amazing. My Lebanese husband was thrilled. Thank you so much for this recipe. It really is the perfect pita recipe. Glad you enjoyed this recipe, Heather! Thank you for the feedback! I’ve made homemade pita bread a few times, but this dough is super easy to work with and forgiving. I actually put them in a nonstick pan on the oven to “bake” them and it worked great. This is my new go-to pita recipe.